The Waynesboro Maidens had some work to do after starting the season 0-4. But work is nothing new for Chelsea Cover. After averaging just over seven points per game last season as a sophomore, Cover knew she had to step up in her junior season to lead the Maidens. 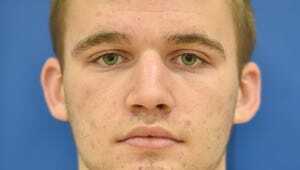 Now, four weeks into the season, Cover averages more than 14 points per game, and has gotten into a level of confidence that led Waynesboro to a tournament victory in Biglerville last week. Cover is the Public Opinion Female Athlete of the Week. The junior beat her career-high by 10 in the second game of the season. But she also hasn't forgotten her roots as a guard, apparent in her defensive performance in the first round of the Biglerville Tournament against Steel-High. "She wasn't the one scoring against Steel-High," Waynesboro coach Alison Steiger said. "She played within herself and made things happen for other people." Cover had six assists and six steals in her 11-point performance, shooting the ball only eight times. "We got beat by Steel-High last year, so we didn't know what to expect," Cover said. "I was off that night, I hadn't hit a jump shot in two games, so I was trying to get the ball to Cat (Weber) and Olivia (Gardenhour). Defense was key in that game." The next night, Cover showed her shooting skills, scoring 23 points in the championship game against Biglerville, and earning tournament MVP honors. She shot 50 percent from the floor and 96 percent from the free throw line. "Playing in the championship isn't something we always get to do," Cover said. "But everything just kind of clicked. We played well together, which hasn't really been happening lately." "I think last week was a very good example of the kind of player she is," Steiger said. "She missed a couple threes in that first game, but she didn't let that affect her performance. And as a guard for my team, she was able to drive and run the floor for us, which was critical. If she's not shooting well, she's creating things for other people. When she works hard for her teammates, she knows her shots will come." Cover said her confidence grew in the off-season thanks to playing AAU basketball under coach Avery Carey, but the team's confidence in each other came after the Maidens' overtime loss to Chambersburg in the consolation game of the Franklin County Tip-Off Tournament. "After taking that hard loss against Chambersburg, losing in overtime, we realized we could play together as a team," Cover said. "Everything clicked and everything changed once we realized that we can go into every game like that." Despite their 0-4 start, Cover believes that the Maidens can end the season with a winning record, something Waynesboro hasn't come close to doing since 2008. Other interests: She's a member of Young Life and the National Honor Society. She also runs cross county and plays AAU basketball. Coach most admired: Angie Fuss, Waynesboro Middle School cross country coach. Statistics: Cover led the Maidens to a tournament title by scoring 23 points in the championship game against the host team at the Biglerville Holiday Tournament ... Cover also scored 11 points in the first round against Steel-High.